Joe 4 are a trio from Zagreb, Croatia which began playing at the end of 2008 as a four piece, later dropping one member out. Joe 4's music owes much to the creative epoch of the 90s underground labelled "American noise rock". Rage, sarcasm and cynicism are injected into highly structured yet compact arrangements and wrapped around noise- and volume filled songs. Like their inspirations, Joe 4 lays out rebellious, quarrelsome and obscene images in their efficient and workman-like assaults, not far from the likes of Shellac, Tar, Janitor Joe and The Jesus Lizard. 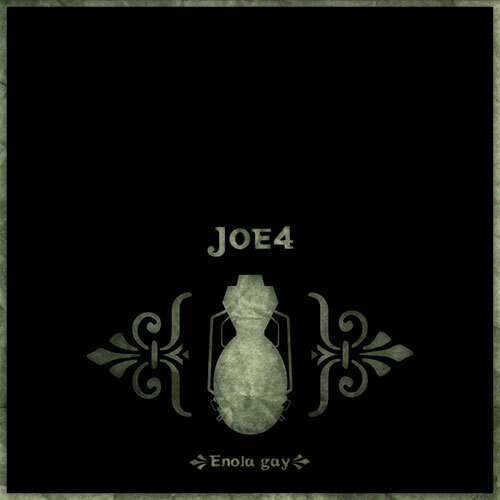 "Enola Gay" marks the debut release from Joe 4 and makes good promise of what's yet to come. Black vinyl in full colour sleeve with poster insert and digital download coupon.